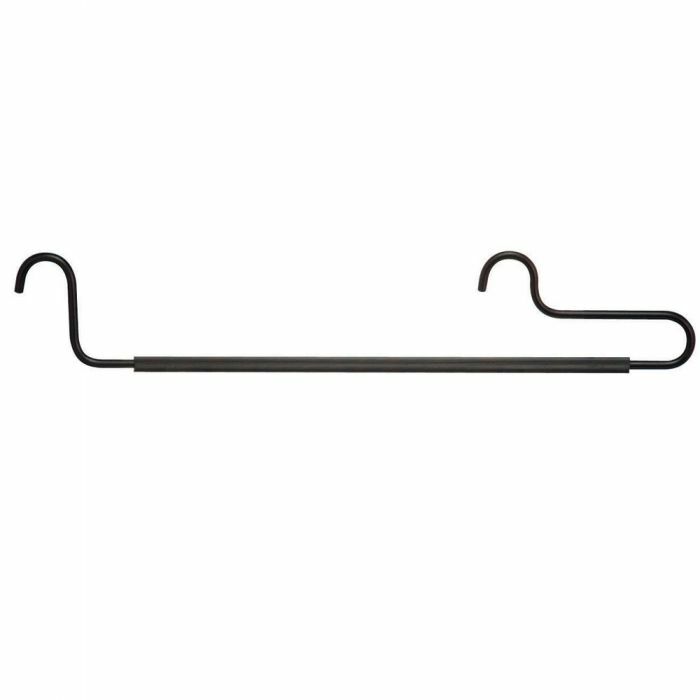 These hangers work with the Hafele Synergy Pull-Out Pants Racks (#41257, sold separately). The unique two-point hanging system prevents the hanger from tipping, and the pants from sliding around and falling off the hanger. Each is constructed of sturdy steel, and coated in a black epoxy finish. At roughly 17"W, they can easily accommodate two pair of overlapping pants. 18 hangers per pack.